Featuring book, music and lyrics by Eric Svejcar, Caligula: An Ancient Glam Epic, is a glam rock musical inspired by the sound and style of the early '70s. 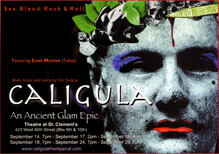 Caligula is a hedonistic fever dream of ancient Rome at its most wild, decadent, and deadly. 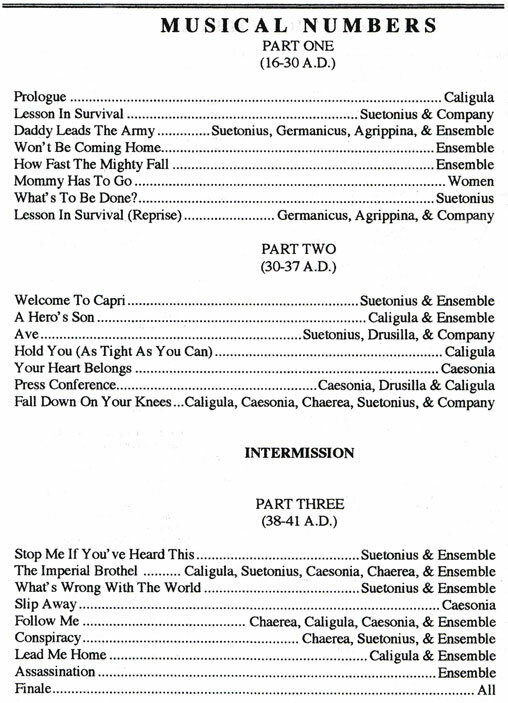 Click on the thumbnails below to view the Playbill in high resolution ! A 4-song EP of Caligula will be available shortly. 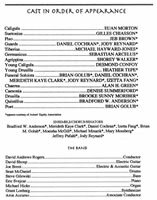 It will have Euan's solo recording of Hold You, Gilles Chiasson doing What's Wrong With the World and Stop Me If You've Heard This, and the version of A Hero's Son from the demo CD sung by Brian Golub. 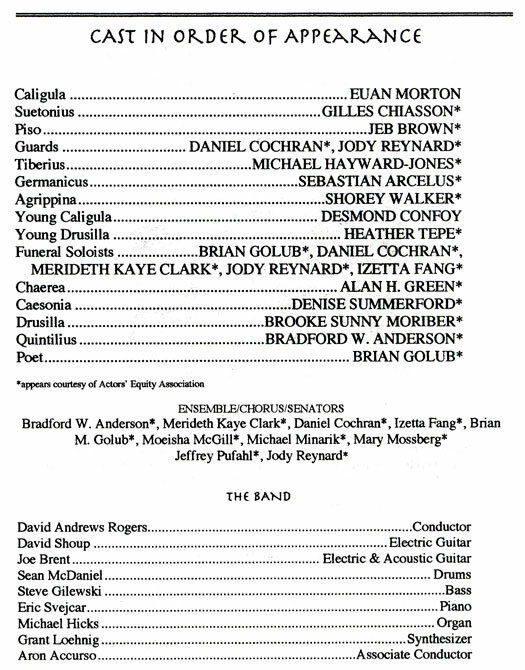 Caligula was the winner of the 2004 Golden NYMFette award: this is an annual award at NYMF, a prize for Best Musical of the Festival that is based on audience poll. 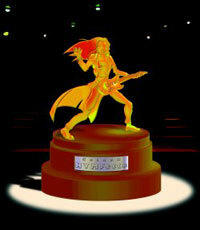 Listen to 4 songs - all performed by Euan - recorded live from the show. 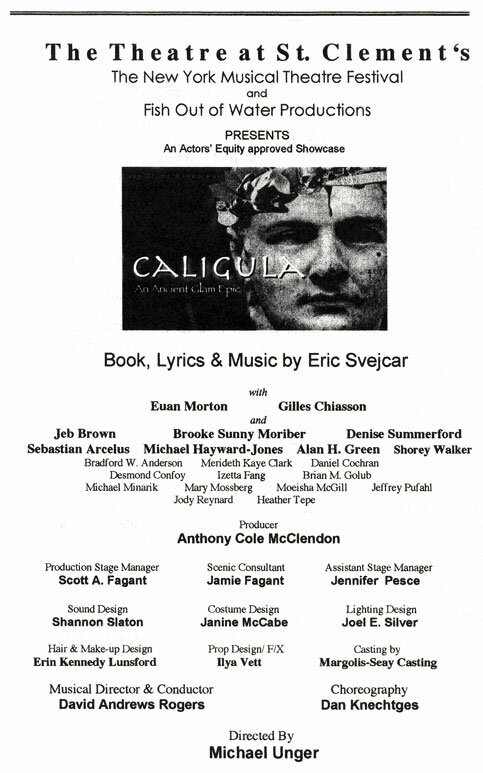 On September 12th 2004 Euan was interviewed on NY1 and talked about Caligula.